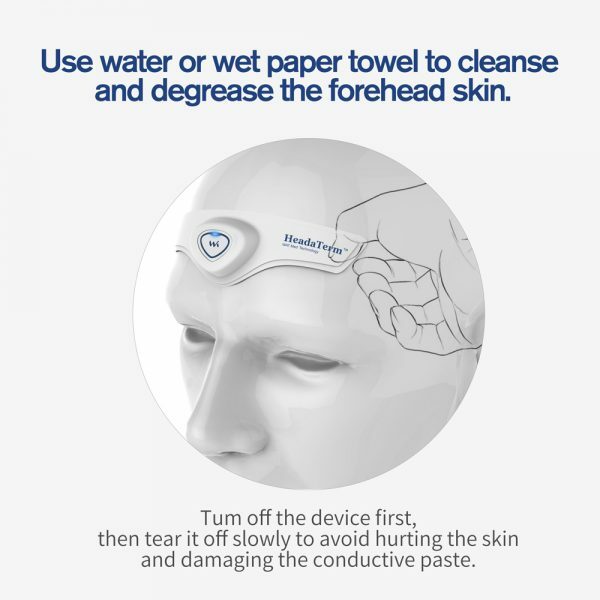 HeadaTerm is a clinically proven, safe, and effective medical device worn on users’ foreheads that uses none-invasive neuronal electrical stimulation technology to prevent and treat primary headache, including migraine, tension headache, and cluster headache. The product uses a hypoallergenic gel that attaches the device to the users’ foreheads. HeadaTerm is very lightweight, making it portable and convenient to use not only at home or at the office, but also outdoor travelling. 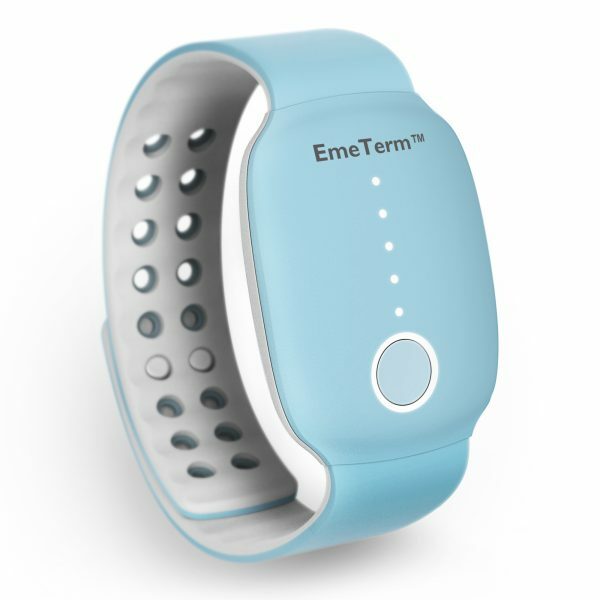 The HeadaTerm Advantages: Physical therapy based on electrical stimulation; No use of drugs; No worries about potential side-effect; Works quickly; 7 hours’ usage; Reusable; Low costs. 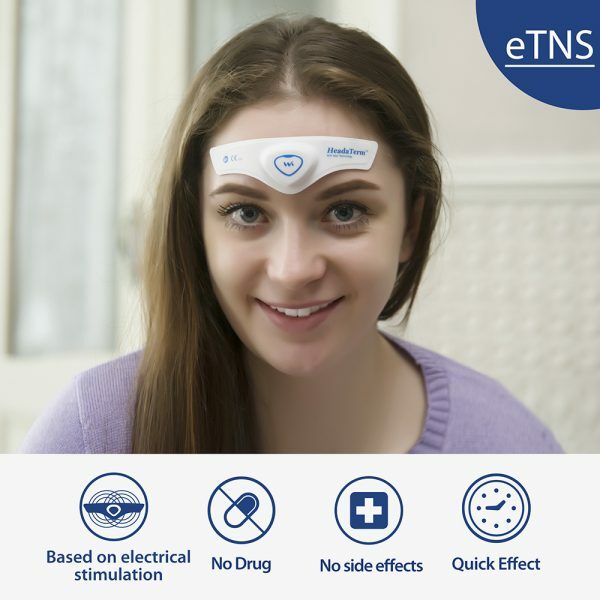 Effective Against Migraine Headaches: Migraine; Cluster migraine; Tension headache; Depression; Insomnia. Optional Electric Stimulation Intensity: The intensity of the treatment will increase to the strongest level within 5 minutes. During this period, users can choose the appropriate intensity according to their own experience to achieve the best effect. Press the button once to maintain the intensity. 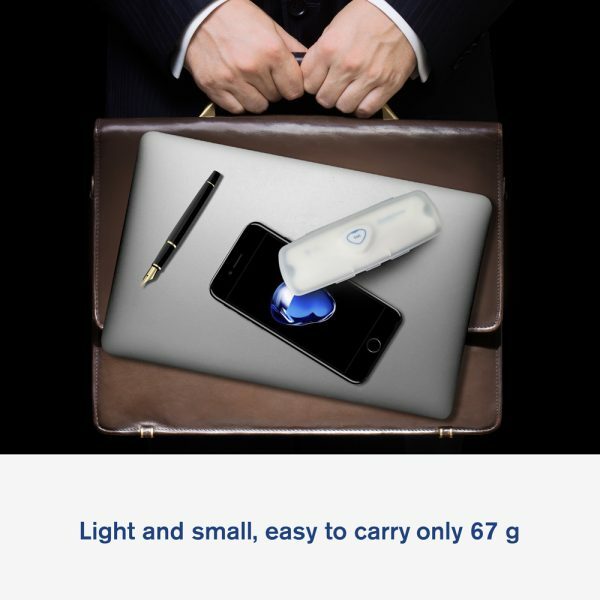 Compact and Easy to Carry: HeadaTerm is very small and light, making it convenient not only to use at home or at the office, but also on trips and outdoor travelling. 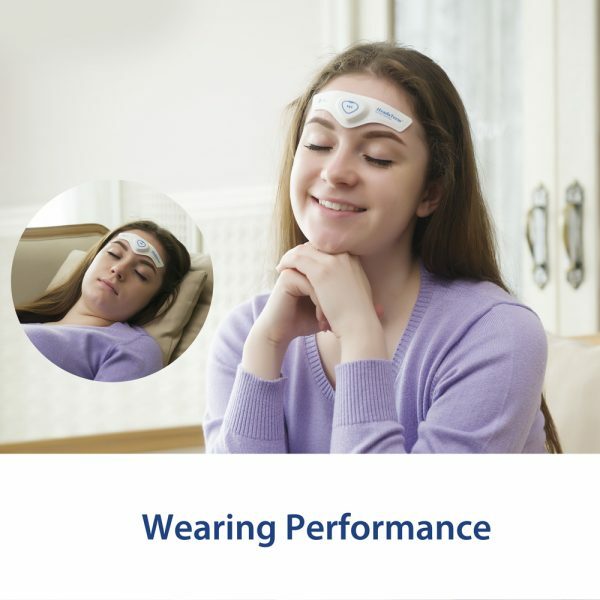 What We Offer: 1×HeadaTerm anti-migraine device, 1×English Instruction manual, 1-year warranty guarantee, 24h friendly customer service and email support. Primary headaches are debilitating conditions that are extremely common among people. Drug treatments are the popular solutions for many patients, but just like with anti-nausea drugs, there are side effects that often turn people away. HeadaTerm offers a drug-free treatment without any side effects. Primary headaches, such as migraine, are transmitted by the supraorbital nerve and the supratrochlear nerve. 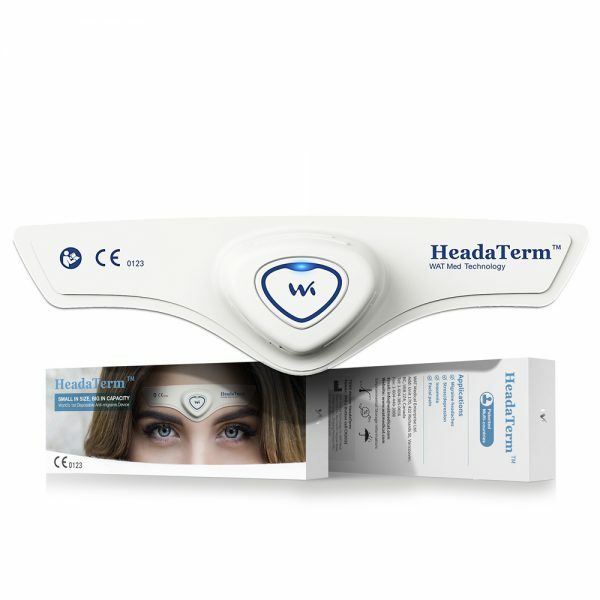 HeadaTerm introduces precise electric impulses from the user’s forehead to act on these nerves and reduce the migraine signals transmitted. The device avoids any drug effects, making it appropriate a wide range of users. Every device contains 21 rounds of standard therapies, each therapy lasts 20 minutes. Sluka KA, Walsh D. Transcutaneous electrical nerve stimulation: basic science mechanisms and clinical effectiveness. J Pain. 2003 Apr;4(3):109-21. Shealy CN. Transcutaneous electrical nerve stimulation: the treatment of choice for pain and depression. J Altern Complement Med. 2003 Oct;9(5):619-23. Huang W, Kutner N, Bliwise DL. Autonomic activation in insomnia: the case for acupuncture. J Clin Sleep Med. 2011 Feb 15;7(1):95-102. Kirsch DL, Nichols F. Cranial electrotherapy stimulation for treatment of anxiety, depression, and insomnia. Psychiatr Clin North Am. 2013 Mar;36(1):169-76. Schoenen J, Vandersmissen B, Jeangette S, et al. Migraine prevention with a supraorbital transcutaneous stimulator: a randomized controlled trial. Neurology. 2013 Feb 19;80(8):697-704. If you suffer from migraines, please please buy this product! I have tried everything.. and the only thing that makes a difference is this one. I used to have migraines every single day, and now they are down to once per month (if even). Great product. Good quality and works well. Really helps with migraines and headaches. Really helps with my wives migraines both for prevention and pain relief during a migraine. We have noticed that migraines are less frequent and have a lower intensity. I suffer from chronic headaches and so does my daughter. I found this really does work. put on your forehead and wait for it to work. I have one downstairs, one upstairs and one in my handbag…. I suffer from tension headaches and use this product before resorting to painkillers and find in most instances that my headaches go fairly rapidly. I have been using HeadaTerm for several years now and wouldn’t be without it. The only real working solution for my migraine. I have been using HeadaTerm for 5 years, and I can say that it makes my life better. I have migraine attacks since my childhood, and besides some extra strong and harmful pills, this is the treatment which actually works. It doesn’t stops all the pain always, but definitely eases it very much so I can handle it, and I can live and work with it. Very useful and will buy more in the future if needed. I bought this to help with headaches, I’ve used it several times already & it’s brilliant, instantly soothing & definitely helps. I’d recommend this product if you suffer from headaches. Good. Strange feeling when applied, but looks like it’s helps.